City DPRD's Commission E is supporting the policy of Jakarta Governor, Anies Baswedan, who will give a day off to a number of schools during the Asian Games event.
" This because it concerns the national interest that should take precedence. So we must fully support the Governor's policy"
"This because it concerns the national interest that should take precedence. 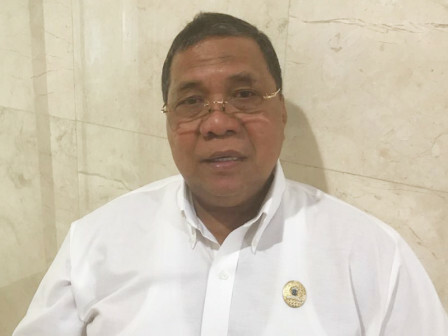 So we must fully support the Governor's policy," expressed Ramly Muhammad, Vice Chairman of City DPRD's Commission E, Tuesday (8/14). It is hoped City Education Dept. could use the day off moment with moral development activities. "All this time the character development has been done frequently. Because of that, I hope that this moment will be filled with students' moral development activities," he stated. As known, City Education Dept. 's circulation letter, day off will be given to 34 schools, as it overlaps directly with the parade of Asian Games torch. Most of those schools are also near and the track of the athletes headed for the venue. Among them are the Universa Kemayoran School, Kemayoran Jubile School, SMAN Tanah Abang 24, Global Sevila Pulomas School, Rawamangun Lab School, and some schools in Ciracas area, East Jakarta.